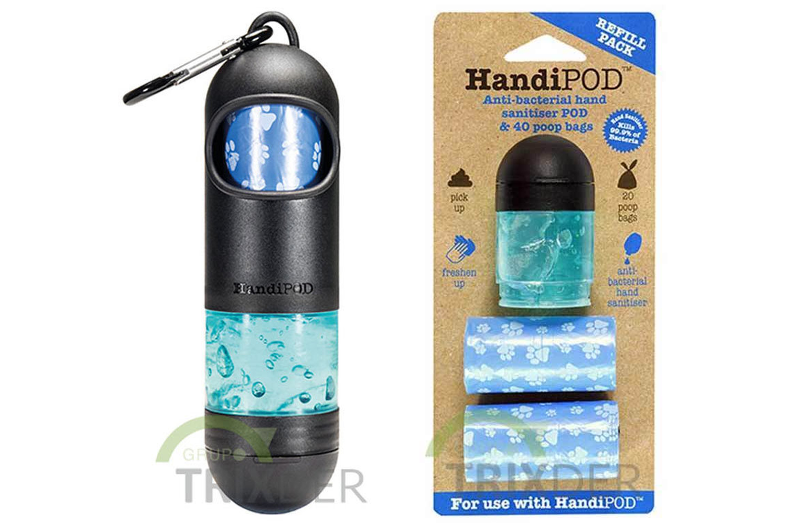 HandiPOD is a new product by Trixie designed to revolutionize the most unpleasant task for dog owners: picking up their poop. Nothing will spare us, but now we can at least do the job in a more convenient and hygienic way. The hand wash has been dermatologically tested, and eliminates 99.9 % of viruses and bacteria. It is made of ethanol, very refreshing, scented, and dries off quickly.